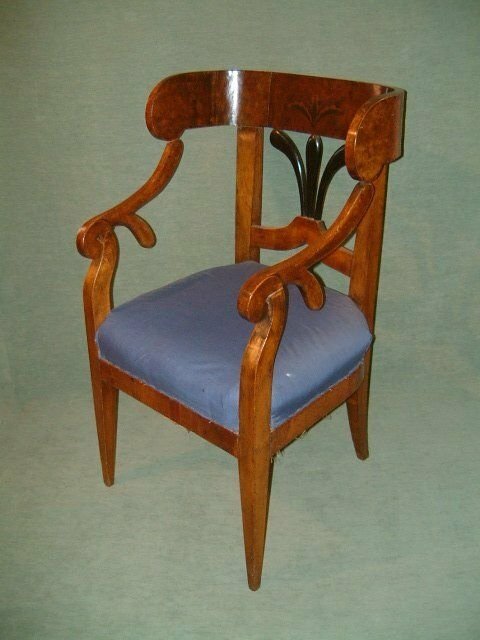 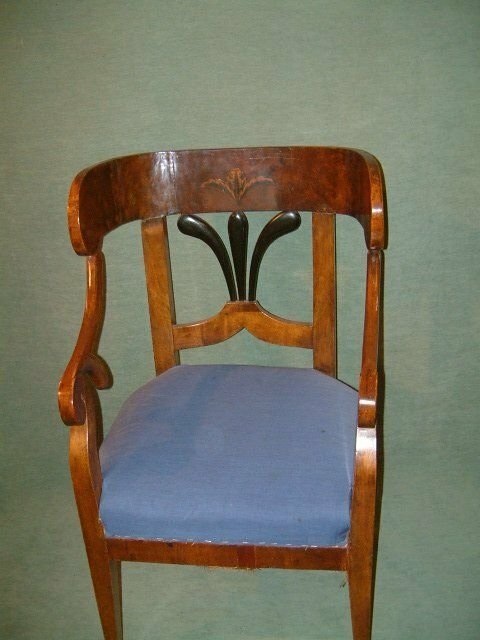 Early 19thC Mahogany & Karelian Birch Biedermeir Chair. 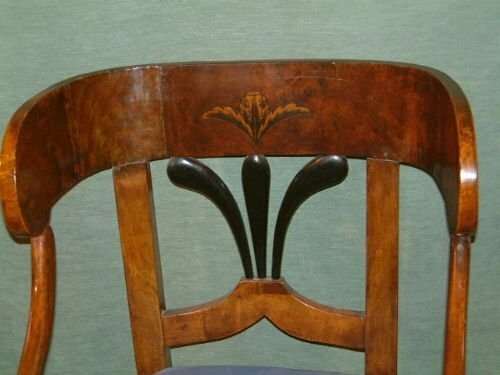 With Ebony Splatt & Inlay, Possibly Russian. 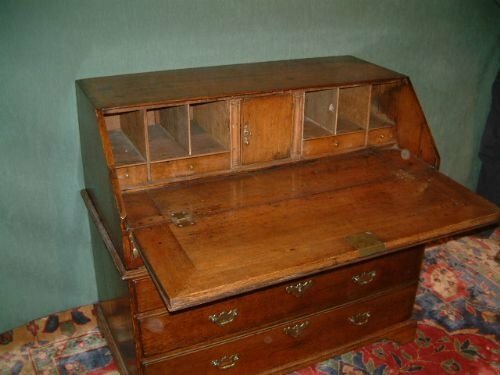 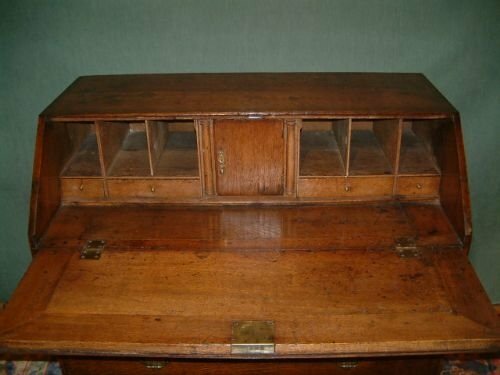 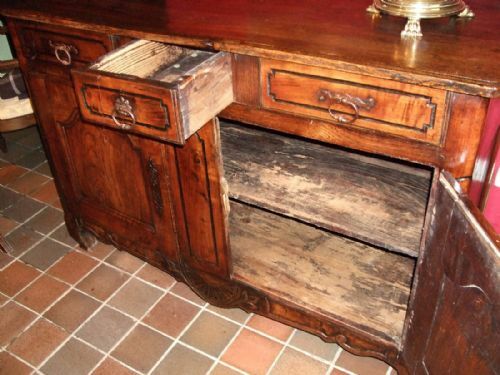 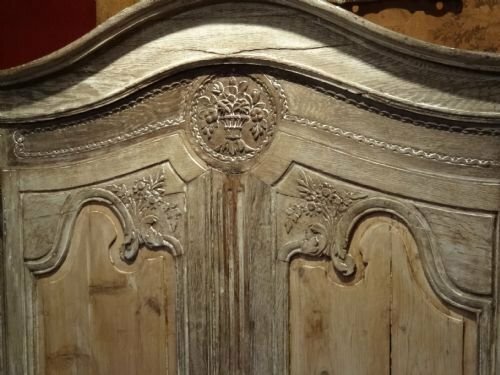 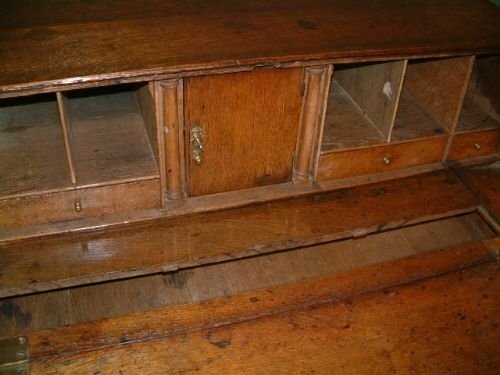 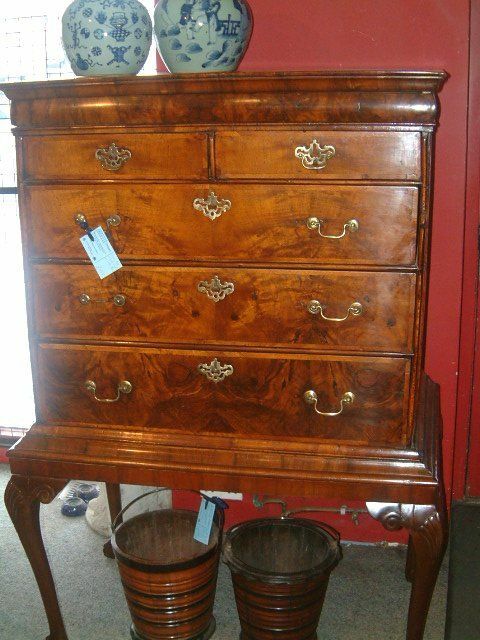 In Two sections, the Bureau detaches from the base as is often the case in these early pieces. 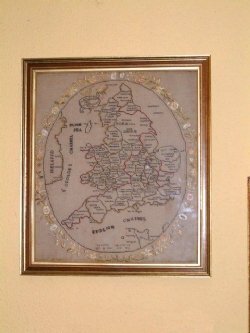 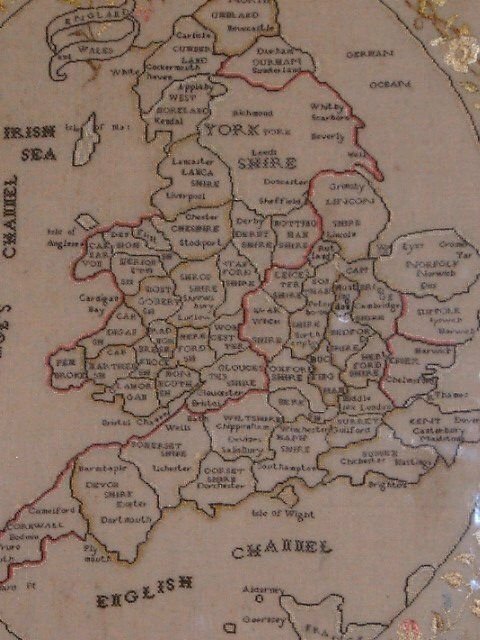 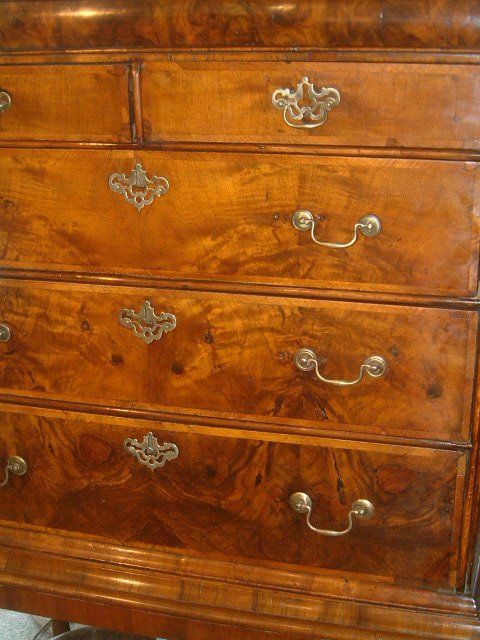 Brasses appear to be original. 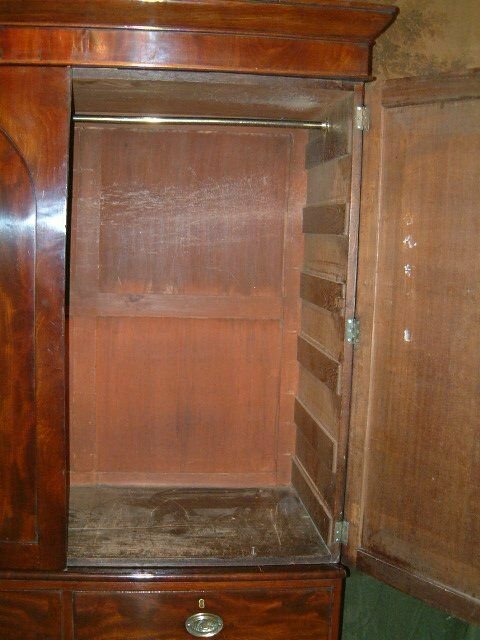 The fitted interior with a well. 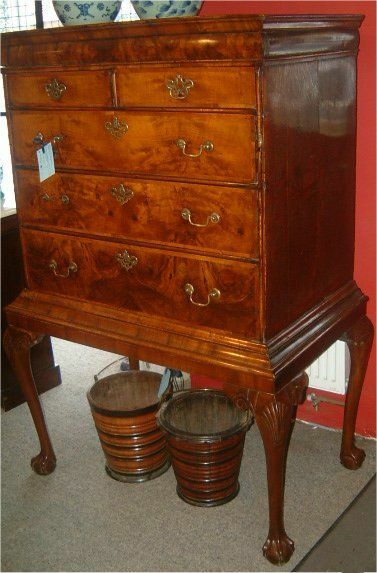 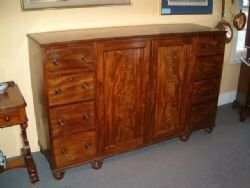 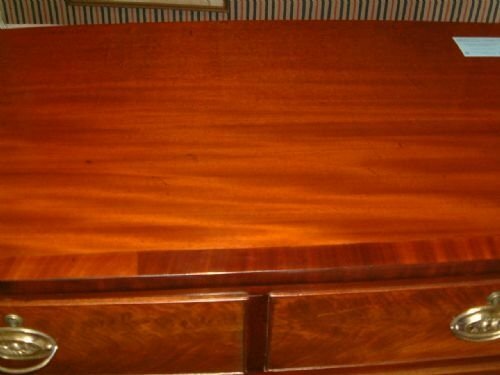 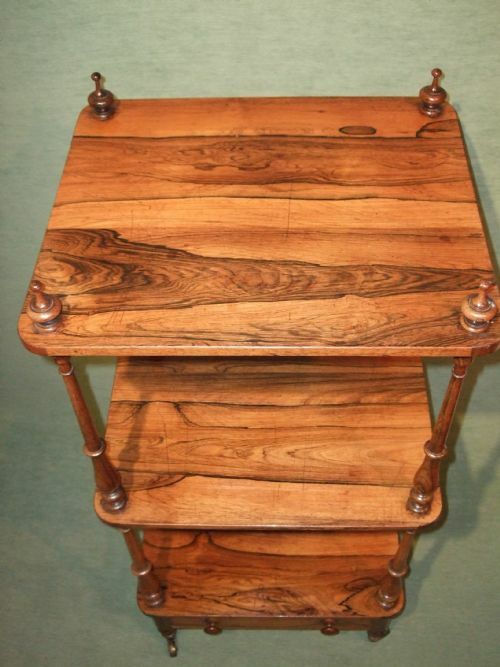 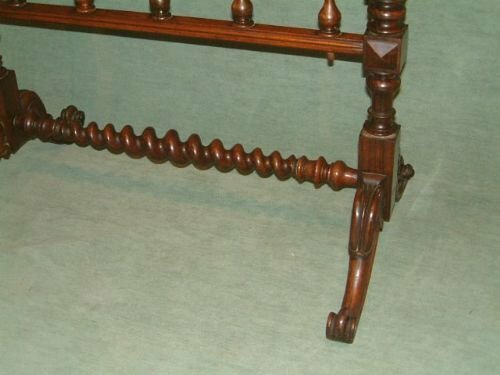 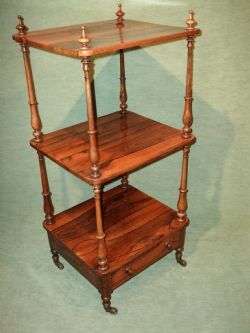 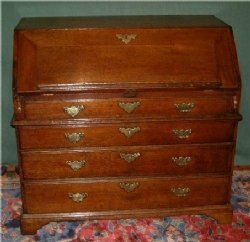 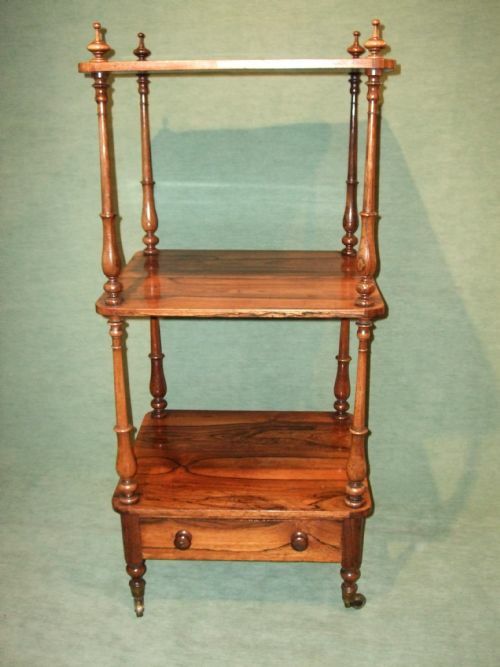 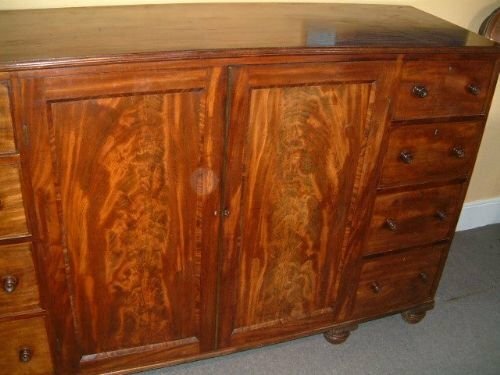 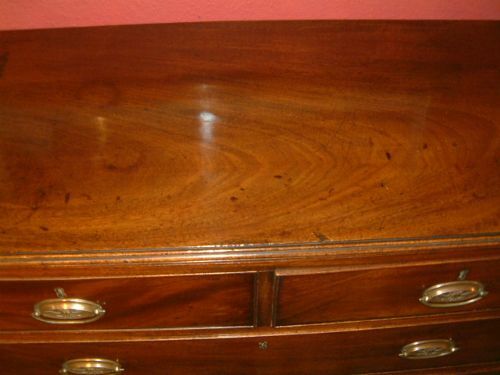 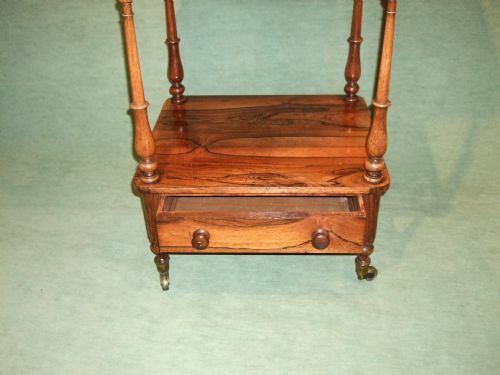 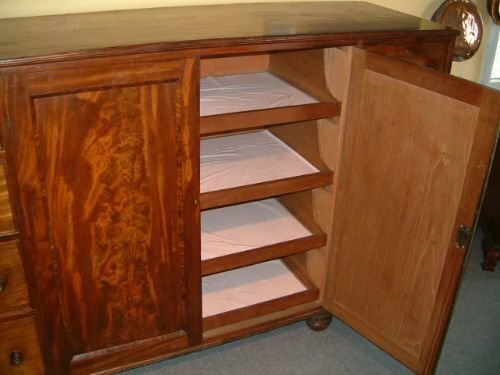 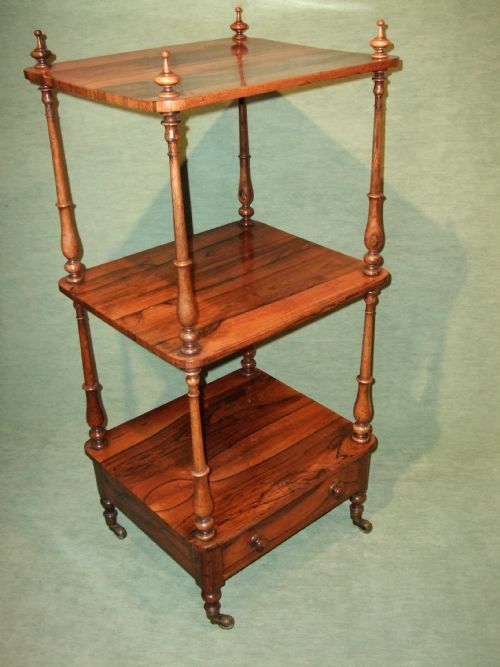 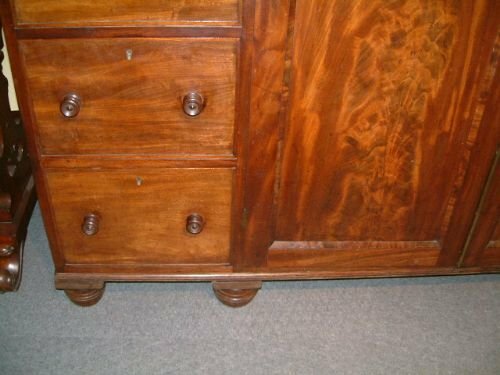 Early Victorian 3 Tier Rosewood What-Not with Drawer. 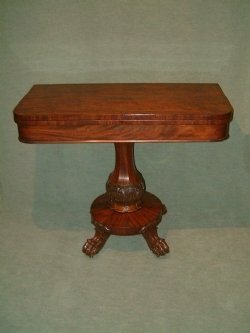 Good Colour & Choice of Figured Rosewood. 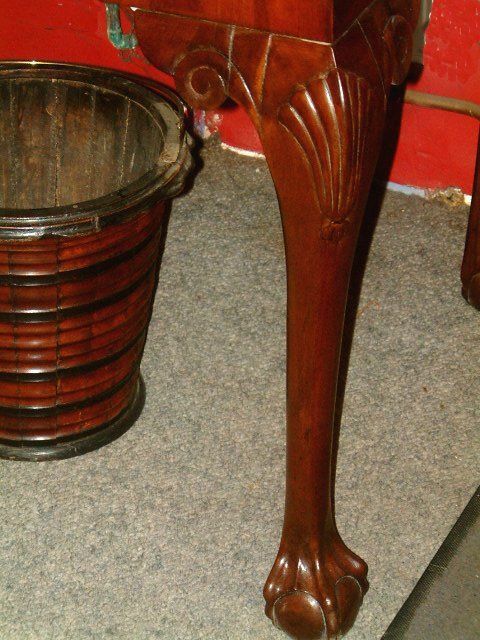 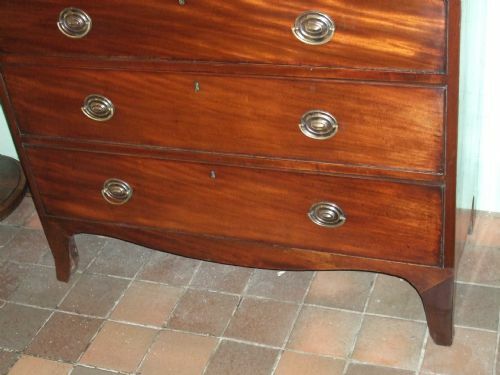 Early Victorian Mahogany Chest of Drawers with Splay Feet. 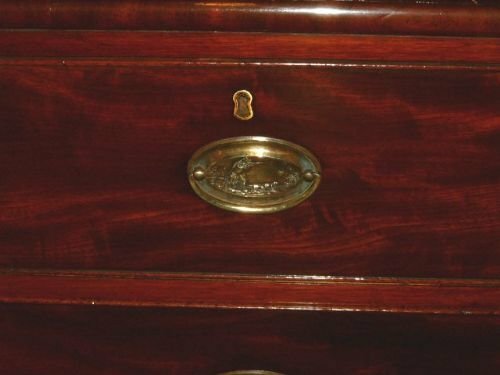 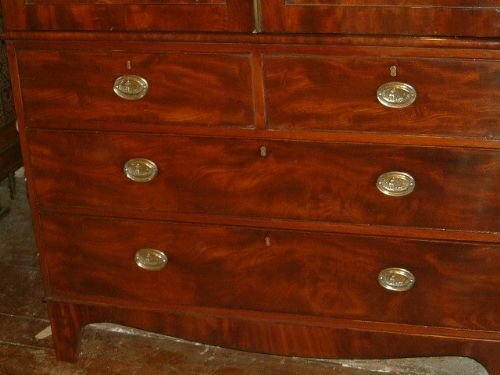 Early Victorian Mahogany Chest of Drawers the Crossbanded Top above Two Short & Three Long Drawers with Brass Key Escutcheons & Brass Handles Supported on Splay Feet, Good Choice of Matched Flame Mahogany Drawers Fronts. 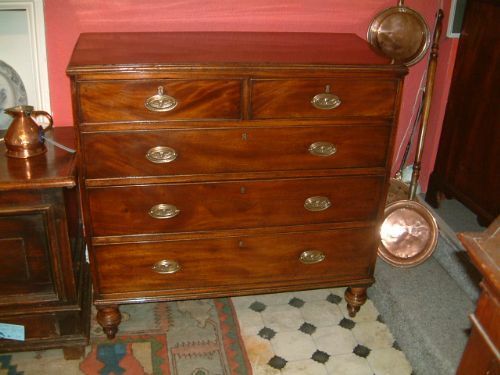 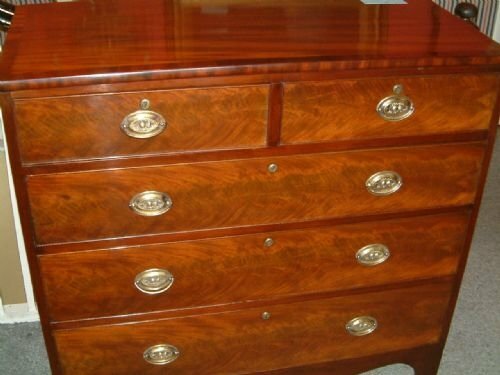 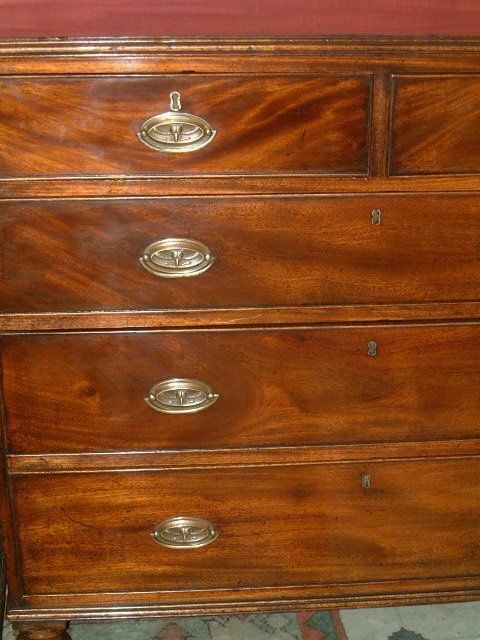 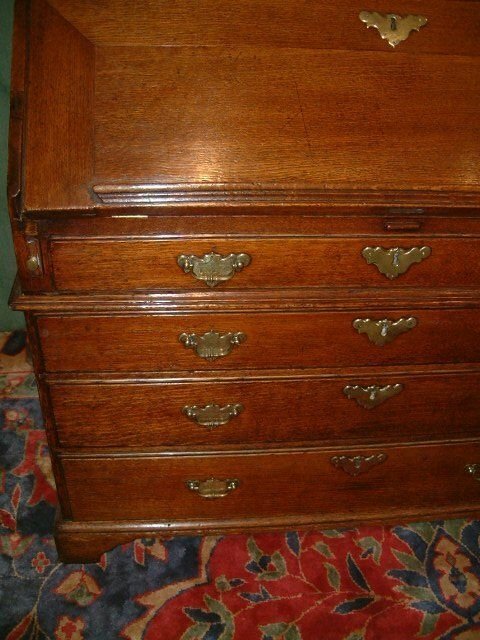 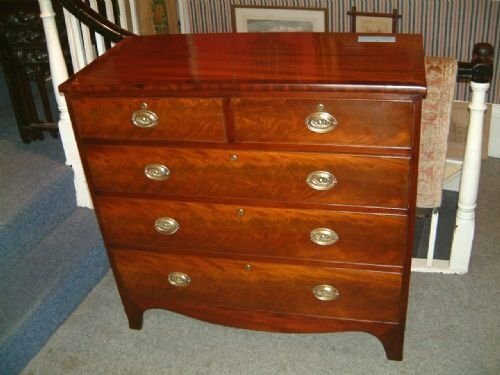 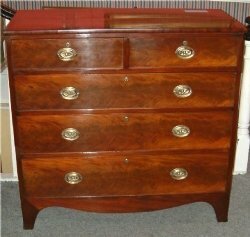 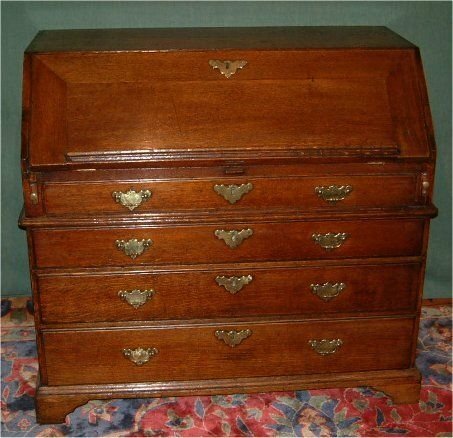 Early Victorian Mahogany Chest of Drawers Good Colour & Patination. 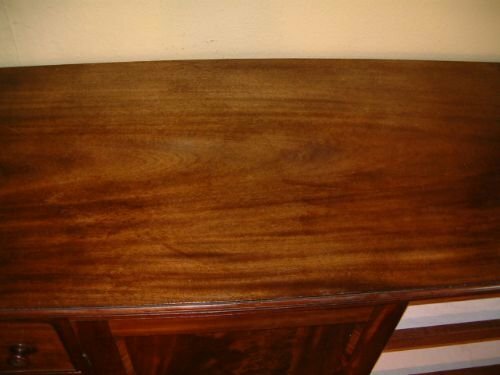 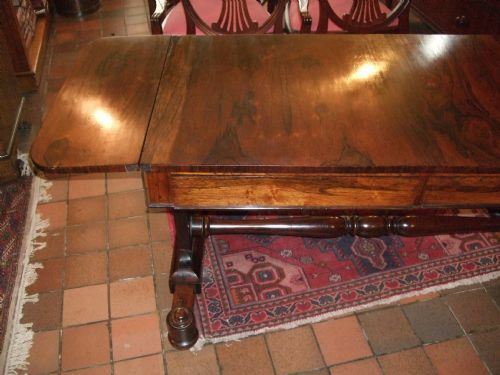 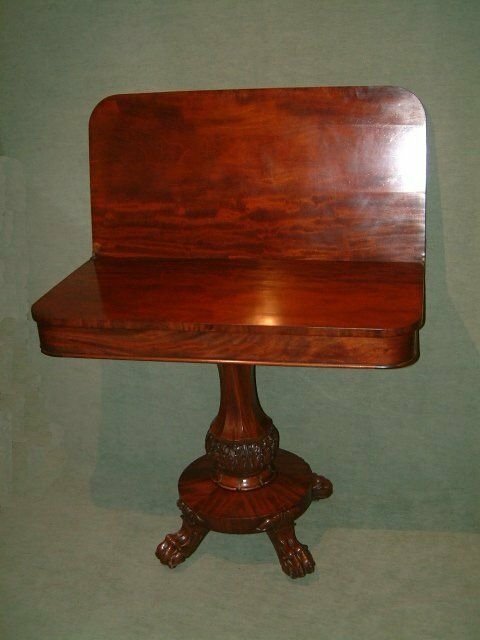 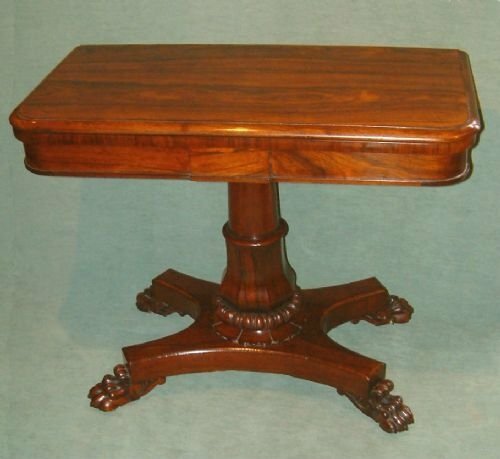 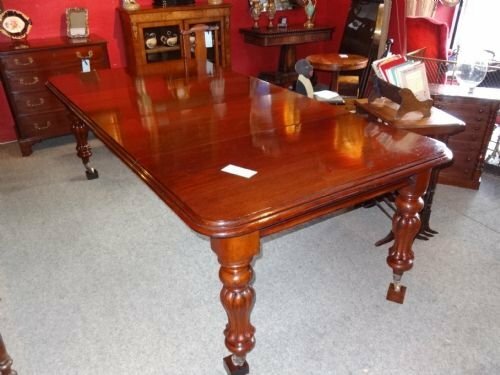 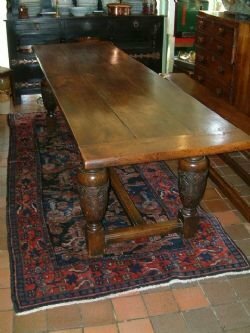 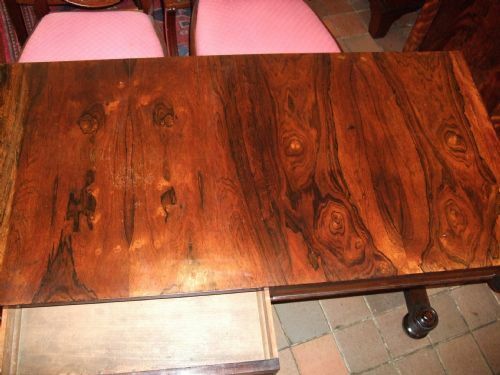 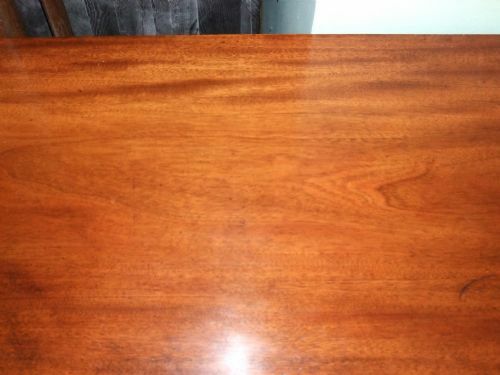 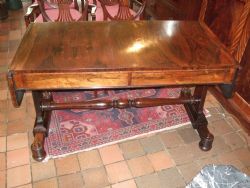 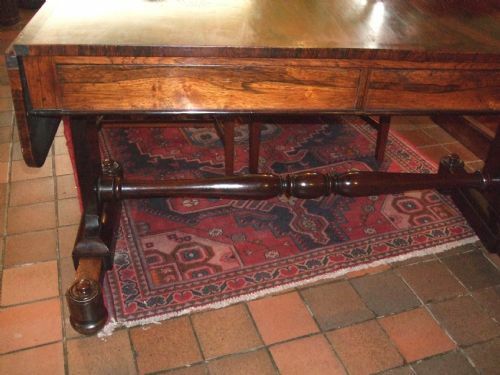 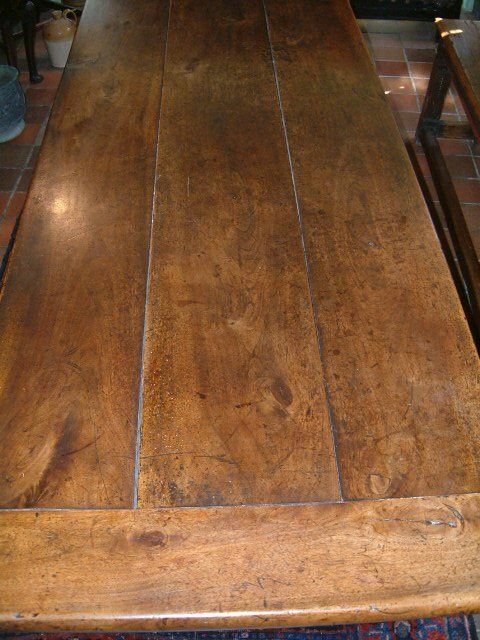 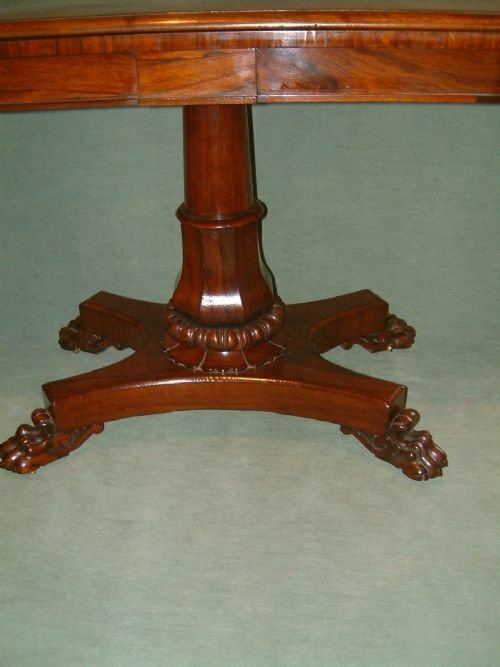 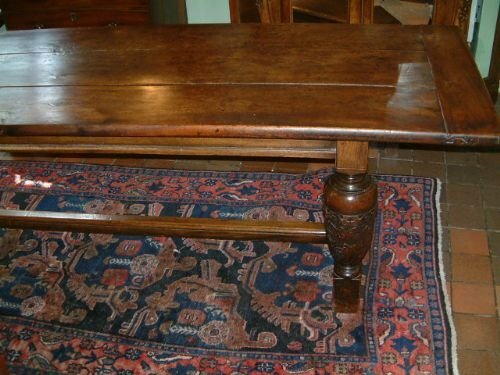 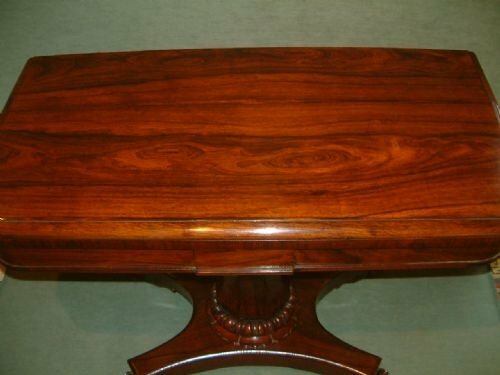 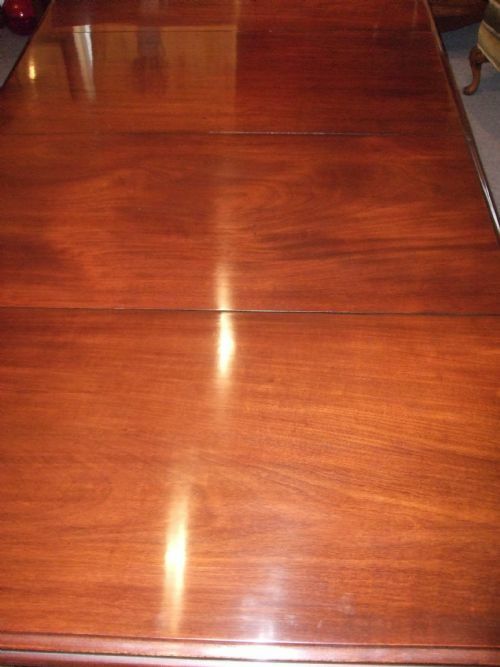 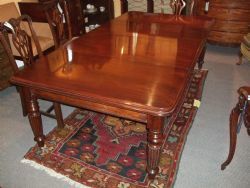 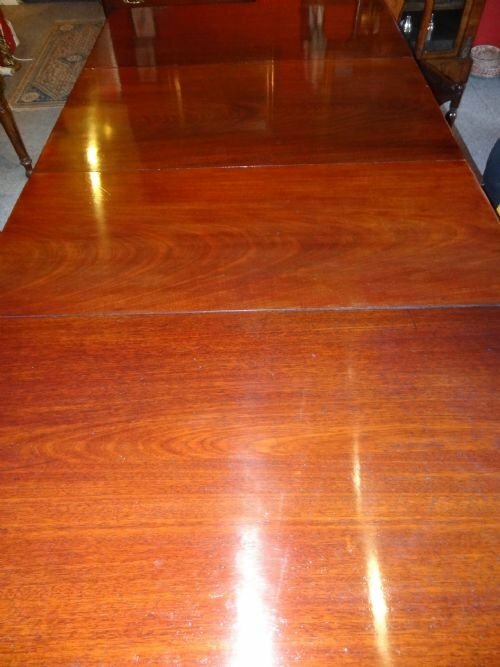 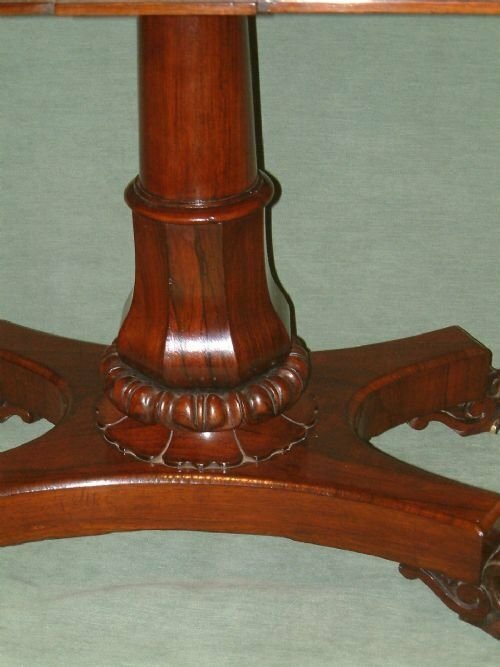 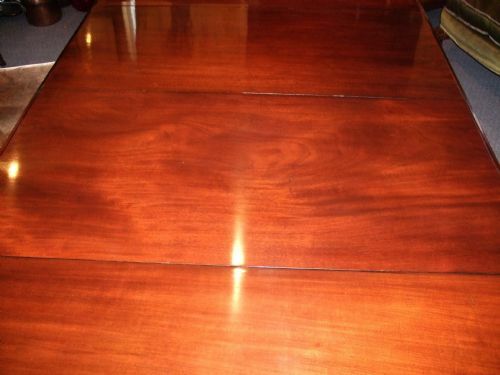 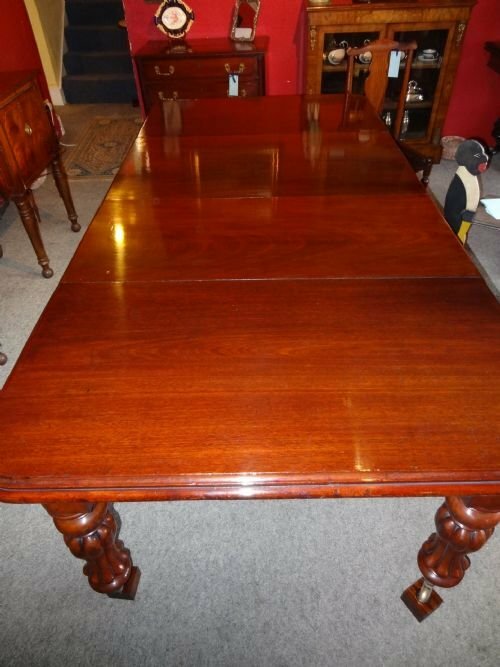 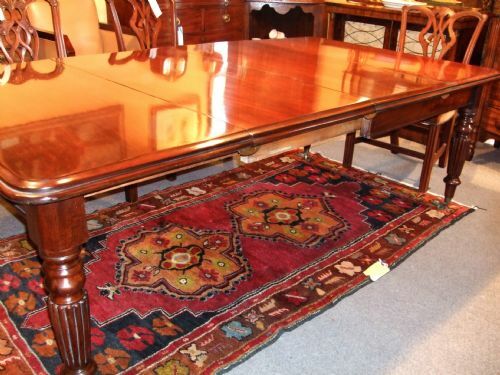 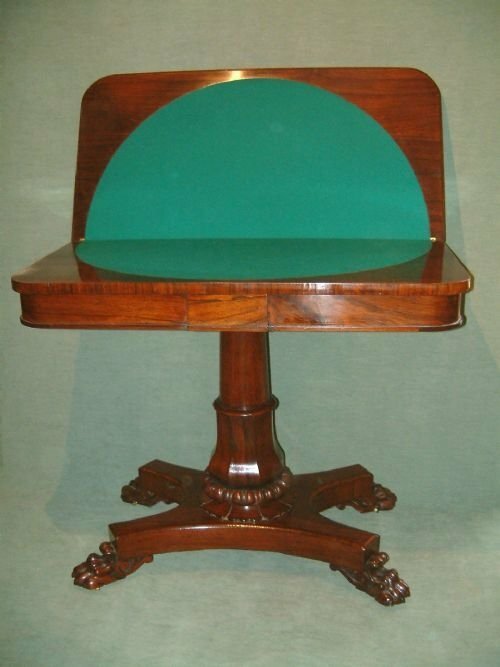 Early Victorian Mahogany Extending Dining Table with 2 Leaves with Gillows Style leg. 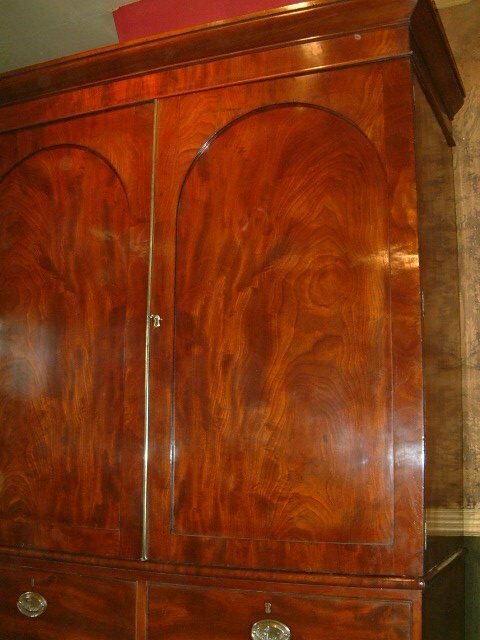 Excellent Colour and Choice of Timber. 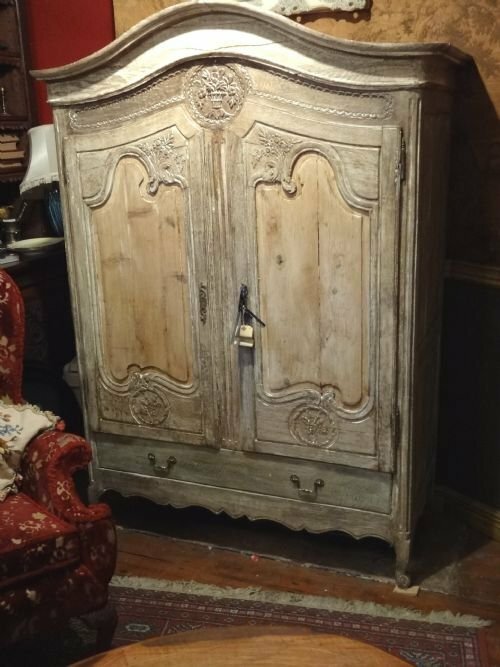 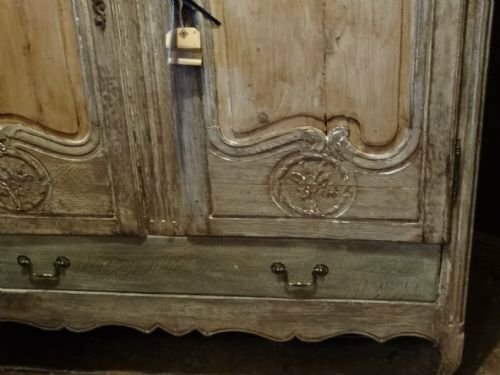 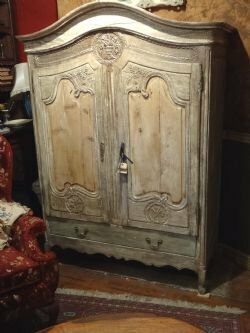 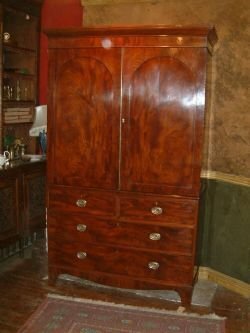 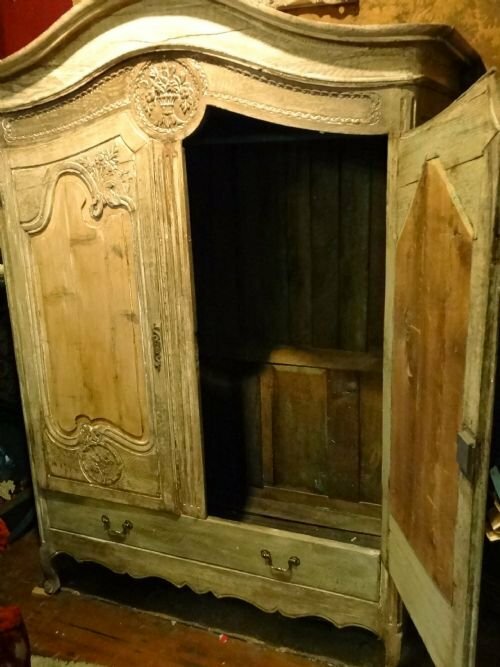 Early Victorian Mahogany Low Linen Press Excellent Flame mahogany Panels. 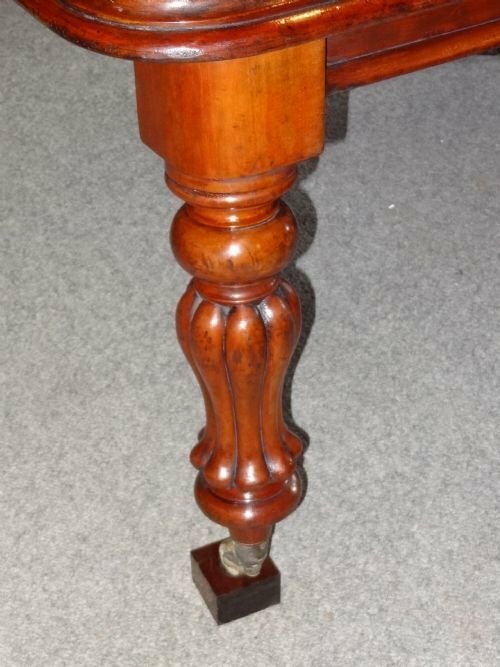 Supported on Turned Bun Feet. 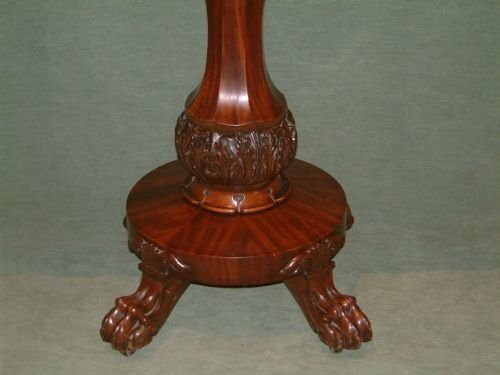 Early Victorian Mahogany Tea Table with well Carved Pedestal, wonderful colour and choice of Flame Mahogany, Supported on Lions Paw Feet. Early Victorian Pull out Extending Mahogany Dining Table with 2 Original Leaves on Turned Balluster Reeded Legs & Brass Castors. 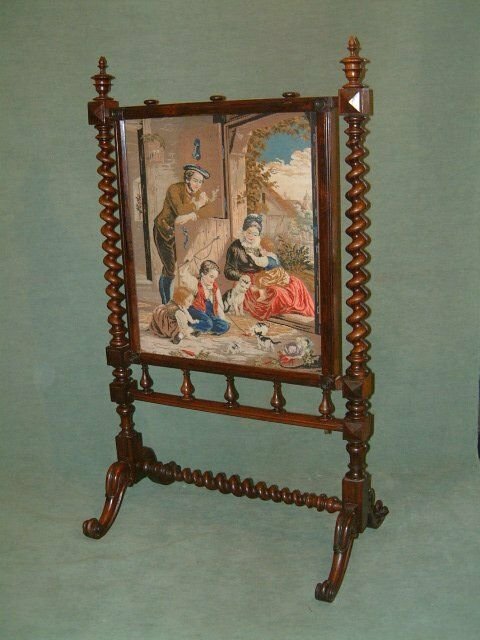 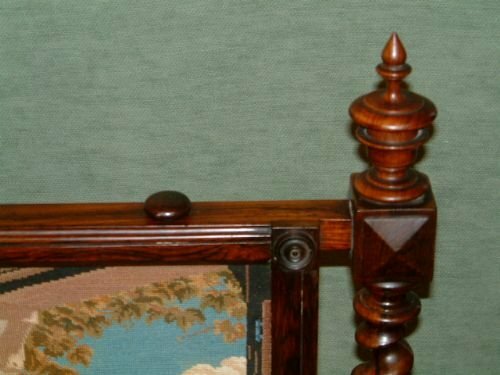 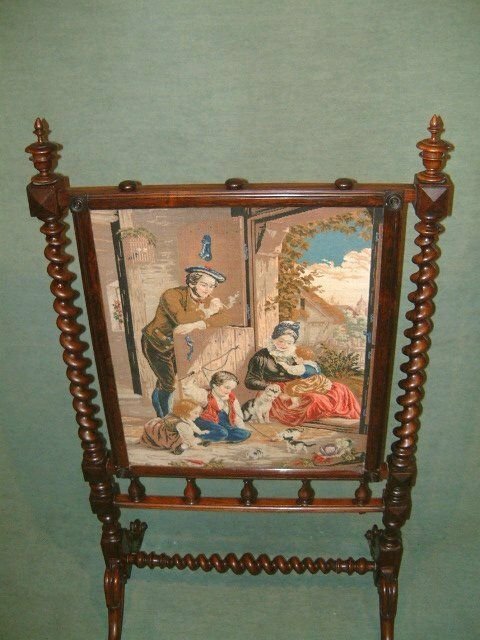 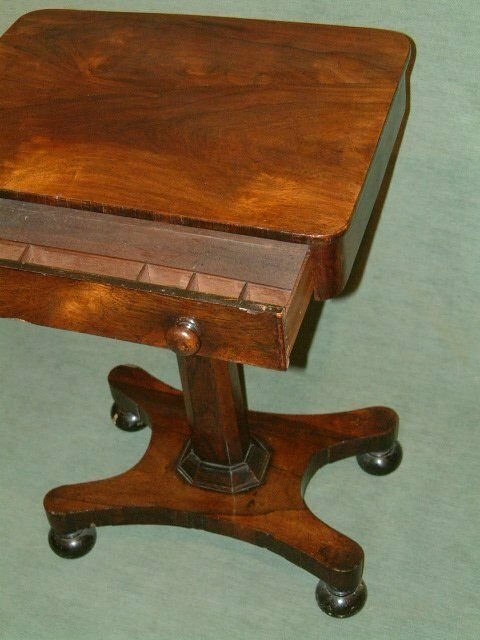 The Wooden Blocks Raise the table by 1"
Early Victorian Rosewood & Original Woolwork Firescreen. 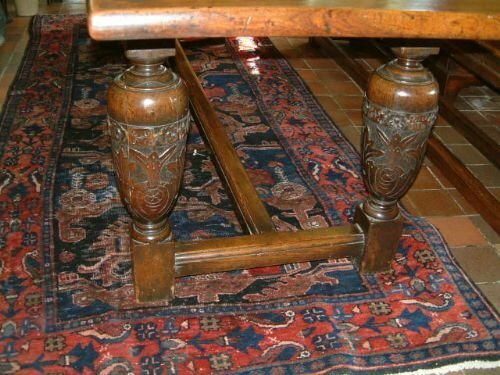 Superbly Figured Timber, Supported on Centre Column with Scrolled & Lobed Carving Terminating in Carved Lions Paw Feet. 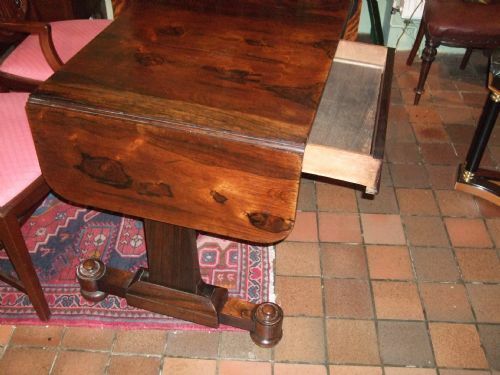 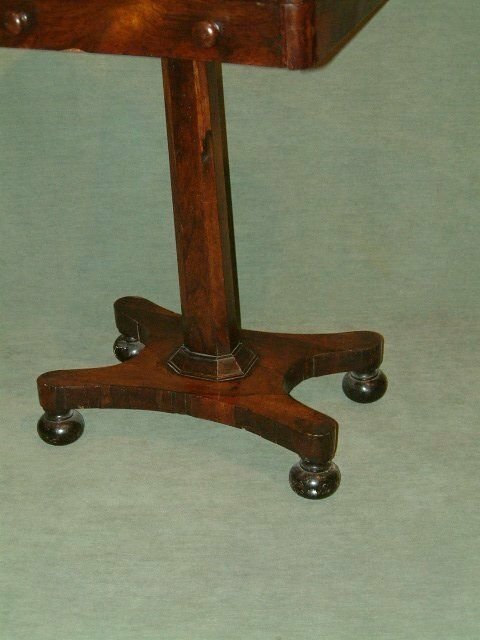 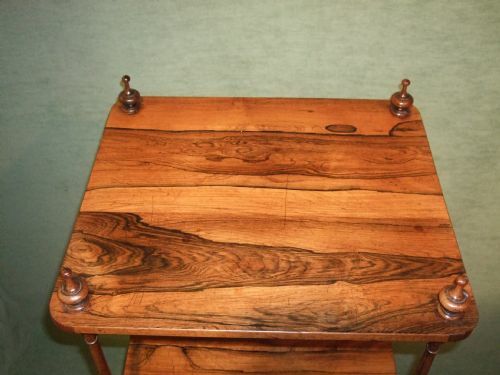 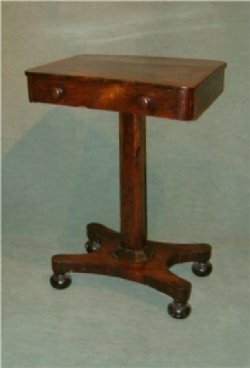 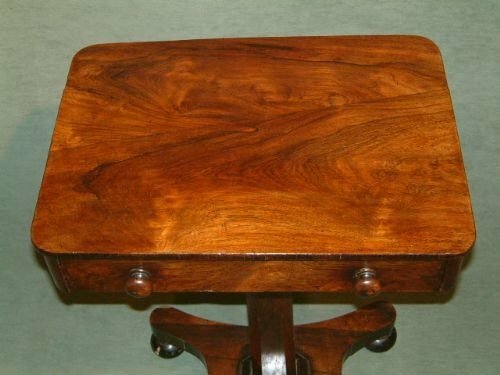 Early Victorian Rosewood Pedestal Work Table the Nicely Figured Rosewood Top with Fitted Drawer Below Supported on a Pedestal base. 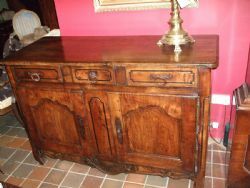 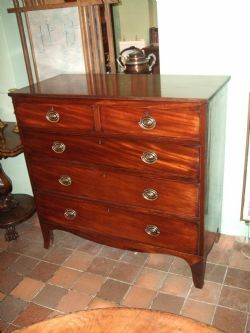 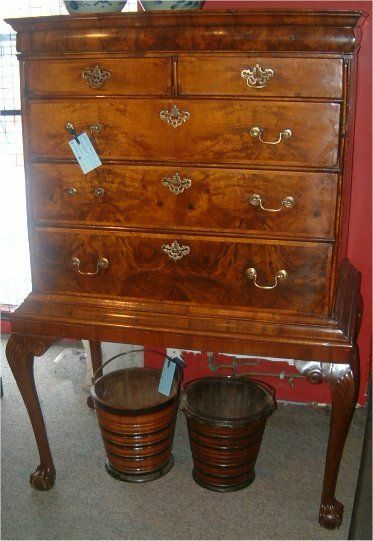 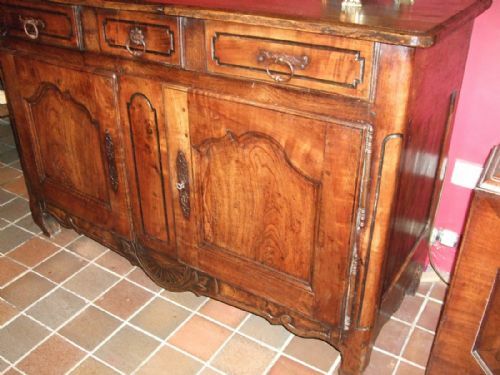 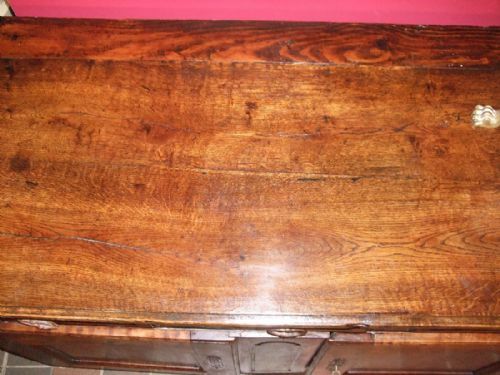 Early18th Century Burr Walnut Chest on Stand Excellent Colour & Figuring, the Stand Later.